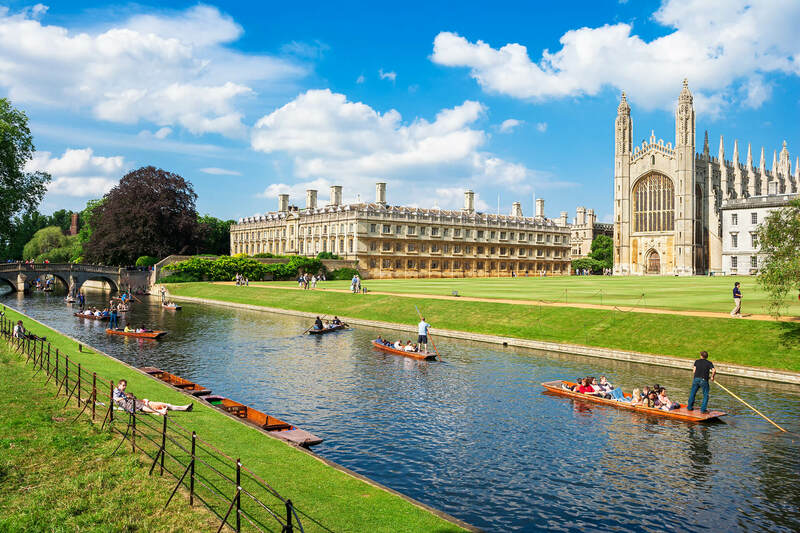 Cambridge is a popular tourist destination, not only because it is full of history and culture, it is also home to the stunning and world-renowned University of Cambridge. The beautiful city has maintained its studious atmosphere over the years, as many students from all over the world come to learn in Cambridge. St Giles students will be given the opportunity to learn English experience life in one of the UK's prettiest and most traditional cities. The historic city centre doesn’t allow access to cars, but luckily it’s easy to see all of the sights on foot. Cambridge is known as the ‘city of cycling’ and many choose to travel around the city by bike. Students will appreciate being able to walk safely between their accommodation, the school and other top attractions. Furthermore, St Giles Cambridge is just a short distance away from the train station where students will be able to travel to other great cities that the UK has to offer, such as London and Oxford. Since it avoided damage from World War II, Cambridge is home to many historic buildings and medieval streets that are wonderful to explore. The school itself is based in a traditional building but has been beautifully refurbished. As a result, our students can expect a combination of classical architecture and modern facilities. Our school in Cambridge offers a wide range of English language courses, in both group and one-to-one environments. The mid-size school has a welcoming atmosphere and is a great centre for students who are new to the English language and require more personal attention. Alongside both short term and long term General English courses, we offer exam preparation for the IELTS and for Cambridge exams along with a selection of courses teaching English for Special Purposes. You can find out more about individual courses below.